Top UK celebrity and former member of the Spice Girls, Victoria Beckham, recently named bee pollen as her superfood of choice, whilst world famous footballer, Johan Cruyff, reputedly owed his resounding success on the soccer pitch to a daily serving of what is now widely considered to be one of Mother Nature’s most complete and nourishing foods. But what exactly is bee pollen and how can you benefit from adding it to your daily diet? Time to find out what the growing buzz about bee pollen is all about! 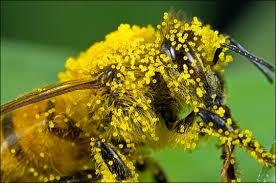 Bee pollen – brought to you courtesy of our busy bees! Bee pollen is made from the microscopic pollen grains collected by honeybees – look closely next time you’re in the garden and you’ll likely notice the tiny yellow balls clinging to their legs. The honeybees bind this precious cargo together with nectar and transport it back to their hive, where they use it as a treasured source of protein. It’s important to note that responsible beekeepers only collect a small portion of bee pollen – usually between 10 and 50 percent – leaving plenty for those busy bees, who work on average eight hours a day for an entire month to produce just one teaspoon. Don’t forget that bees are regarded by many as the guardian angels of our planet, mankind and indeed, all of life on earth; whatever your view, they’re an undisputedly essential (and arguably the most vital) part of our food chain. So much so, that Albert Einstein once commented that: “if bees disappeared from the surface of the earth, then man would have only four years of life left ‘. Protein – bee pollen consists of approximately 40 percent vegetable protein, making it a valuable source of this essential nutrient for vegetarians. Vitamins – bee pollen is rich in vitamin E, which helps to protect your body’s cells from oxidative stress, and contains vitamins A, B complex (including vitamin B12 and folic acid), C & D.
Minerals – bee pollen boasts an impressive selection of minerals, including selenium, magnesium, calcium, copper, iron, silica, phosphorous, sulphur, chlorine and manganese. Amino acids – bee pollen contains a whopping 20 out of the 22 essential amino acids. In fact, gram for gram it contains more amino acids than beef, eggs or cheese! Antioxidants – in particular, bee pollen contains rutin, which helps to strengthen your blood vessels and capillaries, and support your cardiovascular system. According to Dr. Gabriel Cousens MD, bee pollen is the ultimate biogenic food and the procreative force of the plant world. It has been used to boost energy and endurance since ancient times and is today associated with the long list of important health benefits outlined below. 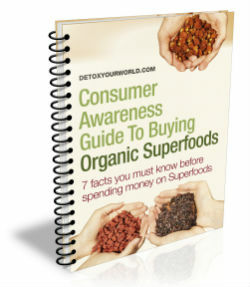 If you needed any excuse to start enjoying this irresistibly sweet superfood, then here are seven of them! In fact, bee pollen is known as a natural energy booster that can significantly enhance athletic performance – it’s packed with carbohydrates, which are your body’s main source of fuel and provide between 40 and 50 percent of the energy required for physical activity and exercise. It also consists of around 40 percent protein, an excess of which is converted into fat for use as additional energy if necessary. Lastly, bee pollen contains B vitamins, which assist in transforming all of those carbs into energy. No wonder Johan Cruyff swore by it! Bee pollen is rich in antioxidants that help to protect your cells from the damaging effects of free radicals, selenium which delays the aging of cells, as well as immune system stimulants, RNA (ribonucleic acid) and DNA (deoxyribonucleic acid), which are responsible for controlling the growth, repair and renewal of cells. The consumption of bee pollen increases your production of both antibodies and white blood cells, protecting you from harmful bacteria in the bloodstream. Indeed, a study by the Longevity Institute of Russia revealed that those who regularly consumed bee pollen, honey and other bee products, tended to be healthier and stronger, and thus able to live far beyond the average human lifespan. Bee pollen contains large amounts of rutin, an antioxidant bioflavonoid that helps to strengthen both your capillaries and blood vessels. It also contains polyunsaturated fats and flavonoids, which help to reduce LDL cholesterol (bad cholesterol) levels, improve circulation, and lower your risk of suffering a heart attack or stroke. Bee pollen reduces the presence of histamine, the organic compound involved in local immune and inflammatory responses associated with allergies. Comprehensive studies suggest that bee pollen, which contains a high amount of antioxidants that have an anti-inflammatory effect (especially on lung tissue), is particularly effective in reducing the symptoms of asthma and hay fever – 2 studies (one by Dr. William Paterson, a US allergist, and another by Dr. Ukrich Wahn of Heidelberg University Children’s Clinic in Germany) revealed that the majority of patients experienced far fewer and milder symptoms of hay fever, including asthma attacks, after taking daily bee pollen supplements throughout the hay fever season. And a 2009 study on mice, by the School of Medicine of the University of Juntendo in Japan, found that bee pollen decreased their production of mast cells – the cells that trigger typical allergic reactions, such as sneezing, coughing and itching. Which is why bee pollen is routinely found in those topical products used to treat allergic skin conditions, such as eczema, as well as inflammatory skin conditions, including psoriasis. Bee pollen is a renowned aphrodisiac that may actively improve fertility to boot – it is believed that bee pollen can help to stimulate and restore ovarian function, which is why many women use it to increase their chances of becoming pregnant. A study on rabbits published in “The Journal of Animal Physiology and Animal Nutrition” in 2011, concluded that bee pollen was ‘an effective product capable of promoting better fertility and reproduction in animals’, although further verification in the form of human clinical trials is still required. And, as it contains beta-sitosterol (a plant sterol ester that is able to bind to the prostate and help reduce swelling), bee pollen is often used for the effective relief of the symptoms of prostatitis, an inflammation of the prostate that’s estimated to affect some 9 million men in the United States alone. As well as demonstrably reducing swelling bee pollen eliminates the need for frequent urination by relaxing the bladder muscles and allowing it to fully empty. Research by Zhejiang University in China published in ‘Phytotherapy Research’, 2007, concluded that bee pollen might also help in treating advanced prostate cancer. Bee pollen contains special enzymes and co-enzymes that aid in digestion and ultimately ensure that you obtain all of the necessary nutrients from your food. Research also demonstrates that consuming bee pollen inhibits the development of numerous harmful bacteria, including E. Coli, whilst clinical studies indicate that it has a regulatory effect on intestinal function. Indeed, bee pollen is frequently used to successfully treat gastrointestinal problems, such as constipation, diarrhoea, enteritis and colitis. Finally, bee pollen is extremely rich in amino acids, which help to stimulate both your memory and powers of concentration. In fact, it boasts a natural formula of key “neuro-nutrients” that supply your brain with all of the raw materials that it needs for normal neurotransmitter production. Bee pollen possesses an intensely sweet flavour that you can enjoy pure by melting a small teaspoon of the yummy stuff directly in your mouth. It’s also a highly flexible kitchen ingredient – try mixing your bee pollen into smoothies, shakes and protein drinks, or sprinkling generously over breakfast cereals, trail mix and desserts. You can even add it to homemade salad dressings for delicious results every time!